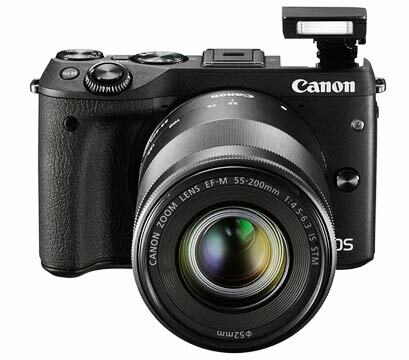 Canon’s 3rd entry into the mirrorless market is aimed at more advanced users. There should also be more EF-M lenses before too long. 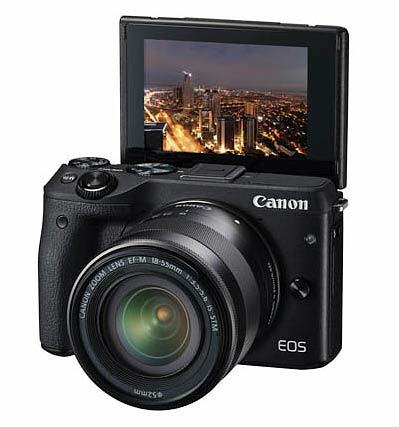 A 24.2MP APS-C CMOS sensor, front control dial, Hybrid CMOS AF III AF system and an articulated 3.2″ LCD capable of flipping up by 180 degrees. There is also a more pronounced grip, a new DIGIC 6 processor and an exposure compensation dial on the top plate. Connectivity includes Wi-Fi with NFC. 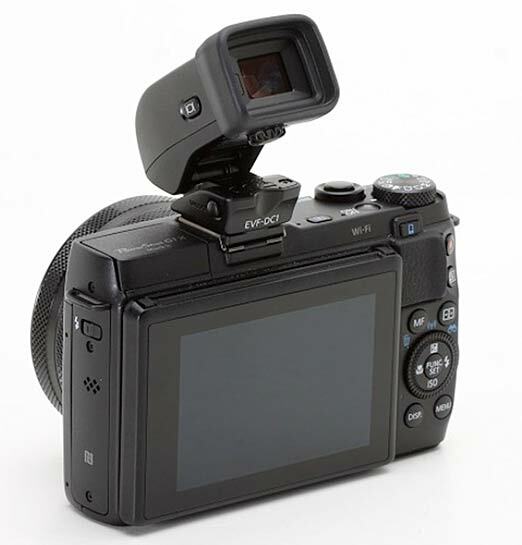 It offers 1080/30p video recording, a hotshoe for optional viewfinder accessory and a built-in pop-up flash. 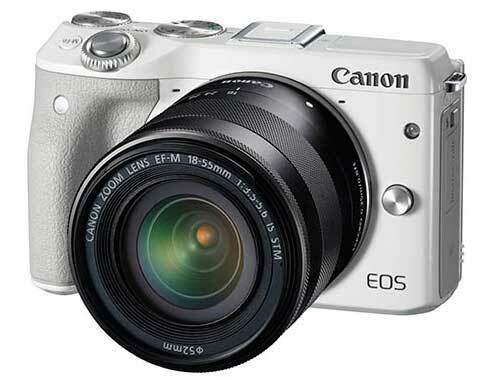 EOS-M and EOS M2 information is on a different page (they are very similar). All our mirrorless rumours (from 2009) are now on the Mirrorless camera rumours page. This is where rumour info about additional models and lenses will be placed. 11th A Canon interview [DPR] (from CP+) mentions mirrorless. 13th Seems that if you want an M3 in Europe, there is only going to be the kit option (18-55) available. 7th DPReview ‘hands on’ M3 article. 6th The M3 is launched, but not yet for the US market. There isn’t any – Canon doesn’t think the US wants such a camera?